“Movember” is a unique annual event that runs each November, where mustaches are grown in an effort to raise awareness of various men’s health issues, physical and mental. Consider taking a moment today to donate to worthwhile charities such as the Movember Foundation and the Prostate Cancer Foundation. 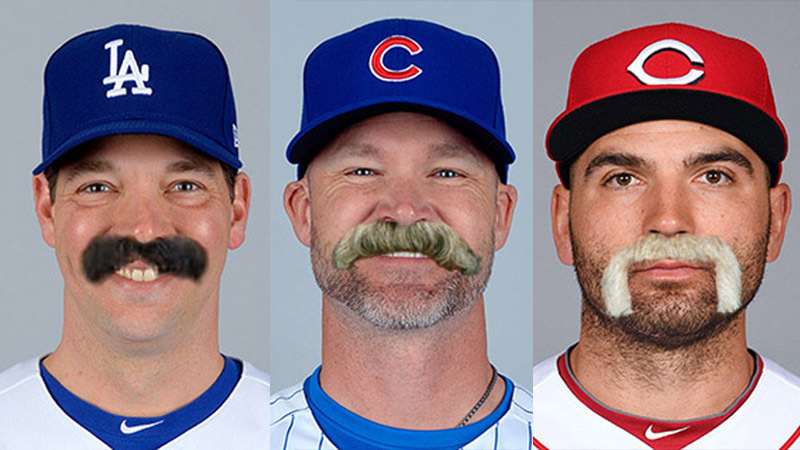 Something not worthwhile is pasting celebrity mustaches on unwitting baseball players — nevertheless, see if you can guess whose is adorned on each face below. Given the lack of iconic mustaches among today’s younger stars, you may need to ask your parents. Answers at the bottom. Apologies to Tom Selleck and Ron Burgundy.